Visit U.S. Perfumania official website and get their hot offer! 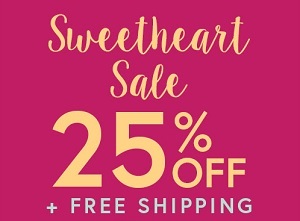 Take 25% off your online purchase! You get this offer by entering the promotion code LOVE at checkout. Plus, get a free shipping on all online orders. Offer is valid online only. More details available at U.S. Perfumania online.